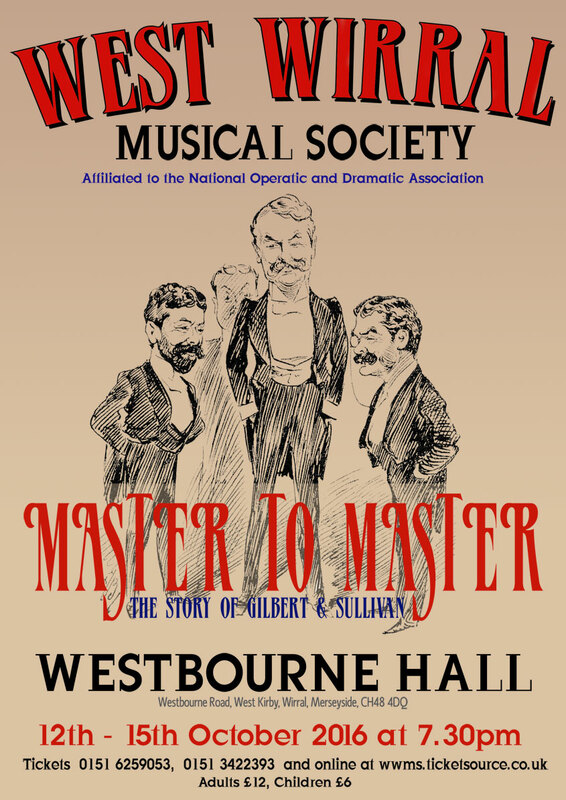 West Wirral Musical Society is proud to announce that our 2016 production of Master to Master has been nominated for best Gilbert & Sullivan production in the Noda Northwest Awards. Congratulations to everyone involved!!!! 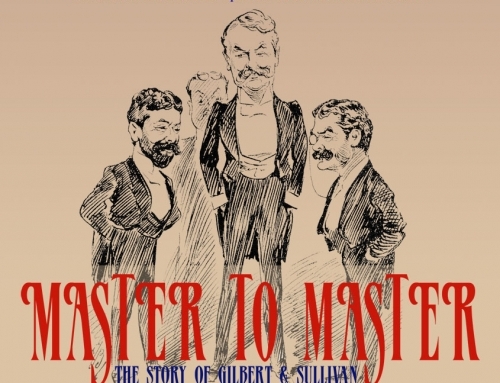 Billed as the story of Gilbert and Sullivan it is rightfully the tale of a triumphant triumvirate and to Gilbert and Sullivan must be added the name of Richard Doyle Carte. The latter named was referee to the continuous clashes between the main protagonists and his contribution to their success can not be underestimated. Author Barry Prescott brought this to the fore and David Bolitho who played D’Oyle-Carte certainly brought the character to life. Mark Prescott (Sullivan ) and Kevin Prendergast (Gilbert) skilfully completed the trio catching the flavour of two men who were of completely different mien. Having seen Producer / Author Barry Prescott wearing many theatrical hats it came as no surprise to see further evidence of his many talents. Michael Hoyland in his capacity of Musical Director proved to be a more than adequate Watson to Prescott’s Holmes whilst Bernadette O’Neill provided the always necessary choreography. Velda Prescott and Kathy Jordan as the wives of D’Oyly-Carte and Gilbert brought out the strain which existed between the three main characters. Their real life situation must have been difficult. 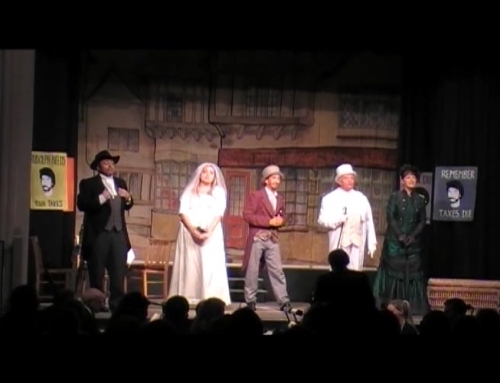 Using the side of stage to allow dramatic dialogue enabled the action to flow although at times voice projection was an issue. The dialogue was Interspersed by a chorus who gave their audience a rich cornucopia of Gilbert and Sullivan’s repertoire. The need to address as much as possible of the G&S songbook will always leave the audience thinking “why didn’t they do this or do that” and I too was guilty in this respect. The choice however was well taken, highly entertaining and well executed. 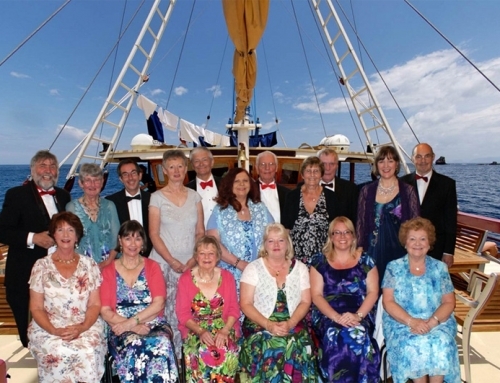 Apart from a fine “on stage” cast West Wirral enjoy the benefits brought by a strong “back stage crew” who deserve plaudits for their contribution to the production. Well done to you all.